The University Area is pushing for new sidewalks to connect Mort Elementary to Harvest Hope Park and the University Area Community Development Corporation campus. TAMPA, Fla. — The University Area is pushing for new sidewalks to connect Mort Elementary to Harvest Hope Park and the University Area Community Development Corporation campus. This is all in an effort to help create safer streets, specifically for kids walking to school. 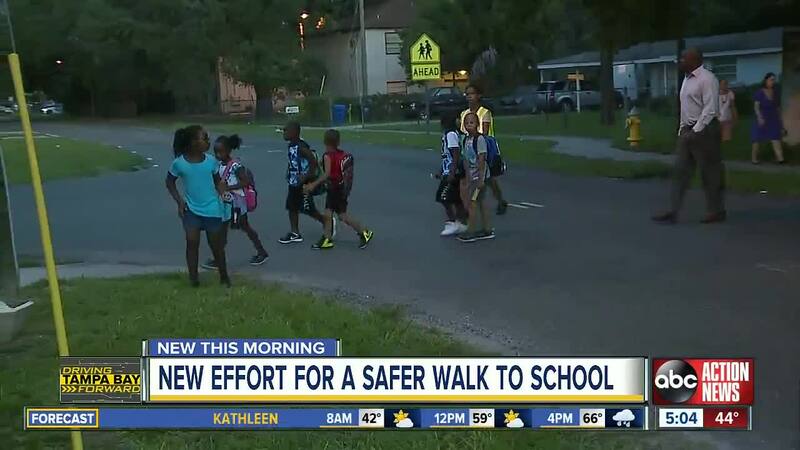 "We've seen far too many kids get hit and killed by cars in this community and we think it's time now that we rally together in order to put in sidewalks," said Sarah Combs, CEO of the University Area Development Corporation. The University Area already has very few sidewalks and streetlights. Children have been hit and killed playing in the street and riding their bikes. The UACDC has already raised about $1M for new sidewalks but still need about $1.5M more, according to Combs. "It's the heart of the community and we're really creating positive change from the inside out," Combs said. "it shows a sense of commitment and that positive change is coming."